Hello, class, welcome to Shopping Cart History 101! Today’s curriculum takes us on a path towards understanding the evolution of shopping carts in American culture. From the Deubner Shopping Bag of 1912, to Orla Watson’s telescoping cart in 1946, we will explore the conception of shopping carts and how American culture helped shape them into the well-structured commodities found in stores today. Let’s get the cart rolling. Did you know that there was once a time when consumers were required to physically carry their groceries home from the store? No, I am not talking about the time when buffalo roamed wild across North America. As recent as 1912, consumers used their bare hands to carry purchased items home from the store. Walter H. Deubner, a small grocery store owner in St. Paul, Minnesota, was looking for ways to boost sales of his store when he realized his customer’s purchases were restricted by what they could conveniently carry. 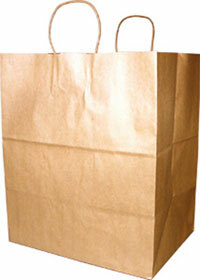 He set out to find a way to help customers buy more items at one time and, four years later, introduced the brown paper shopping bag. Deubner priced the bags at five cents apiece and by 1915, was selling over a million shopping bags per year. Even with Deubner’s groundbreaking invention, customers still faced the burden of carrying their groceries. Many stores featured wicker shopping baskets to help customers with in-store item handling. At a time when women did most of the shopping, these baskets posed a problem for shoppers when they became too heavy. With an eye towards increasing customer carrying capacity, store owners realized that a light-weight basket would allow their customers to carry more groceries. 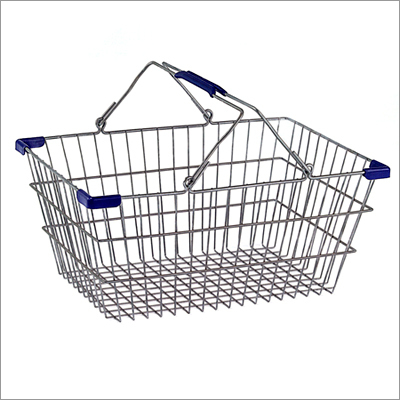 Wire shopping baskets were then introduced to give shoppers the ability to carry more at a lesser weight. The year is 1936. Sylvan Goldman, owner of the Piggly-Wiggly supermarket chain in Oklahoma City, sits down at his office to devise a plan that will allow customers to move more groceries. Like the men who came before him, Goldman realized that customer purchases were merely limited by what they could carry, and that a higher carrying capacity would lead to increased sales at his stores. Goldman picks up a wire shopping basket and places it on a wooden folding chair – the first step of a life changing invention is complete. Later that night, Goldman and his mechanic, Fred Young, begin to modify the design into prototype. The two quickly recognized that wheels could be placed on the legs to make the cart mobile, and that the back of the folding chair handle could be adapted into a handle for pushing the cart. But what would such a device offer customers? Most customers could carry one basket with ease, and the extra hardware would only consume space and add clutter to their stores. Then it hit them; a cart that could carry two baskets, one above the other. If they could leverage the chair’s ability to fold and save space, they could design a cart that would truly benefit customers without adding excess clutter to their stores. The two then developed their first prototype - a folding metal frame that held two baskets. Inspired by the folding chair, Goldman would call his carts “folding basket carriers”. In 1937, Goldman formed the Folding Carrier Basket Company for production of his new concept. Like many new inventions, the folding basket carrier struggled to gain popularity early on. Men saw the carts as an insult to their strength and masculinity. Women thought the carts were suggestive of a baby carriage, and found them unfashionable for public shopping. To demonstrate their utility, Goldman created several poster campaigns touting the benefits of his carts. To make the carts more attractive, Goldman hired male and female models to push them around his store. Shopping cart sales sky-rocketed, and Goldman became a millionaire. Goldman’s design would go on to carve out a place in American culture and earned cover page honors for the Saturday Evening Post by 1940. Supermarket owners even began redesigning stores to account for shopping carts, making isles wider and adding space around checkout areas. Goldman’s concept had been accepted into mainstream society; now it was time to perfect the design. The success of Goldman’s cart opened countless opportunities for savvy innovators. In 1946, Orla E. Watson came up with a modification that would change the design of shopping carts forever. That year, Watson introduced a system for a telescoping (a.k.a. nesting) shopping cart, meaning that one cart could be stored within the other without disassembly of the cart. Watson made the front of the cart narrower than the back, and allowed the back to hinge freely so that one cart could be pushed into another cart. This innovation intrigued store owners as it allowed them to possess more carts without taking up much more of their precious shopping space. Watson applied for a patent of the nesting cart in 1946, but Goldman contested it and filed an application for a similar patent called the “Nest-Kart”. After an extensive legal battle, Goldman relinquished his right to the patent in 1949 and granted it to Watson and his company, Telescope Carts, Inc. In exchange, Goldman received licensing rights for the product. Watson and Telescope Carts, Inc. continued to receive loyalties for each nesting cart produced. The nesting system truly revolutionized shopping cart design and is the sole reason that most shopping carts are stored this way today. Even with the new nesting regime, shopping cart designs were constantly changing to meet the needs of the times. In 1947, the power lift mechanism was introduced as a way to unload groceries without lifting items. Just step on the switch down below, and up goes your upper basket! Also in 1947, children seats were added to accommodate baby boomer families who shopped with their little ones. In 1949, the single-basket cart made an appearance amidst litigation between Goldman and Watson. The single-basket cart gave shoppers a place to put bulk items down below with the lower level now a rack instead of a basket. In 1954, color coordinated handles were introduced for store branding purposes. By 1960, innovators had already incorporated sealed wheel bearings, non-marking rubber wheels and automatic sliding doors. Modern era modifications include increased basket sizes for bulk purchases, specialty children shopping carts, and coin-operated theft prevention devices. As you can see, shopping carts have changed considerably in the past 100 years. From Deubner’s basic brown paper bag to Watson’s telescoping concept, shopping carts have come a long way and are sure to be a fixture in American society for the foreseeable future. This entry was posted in General, Good to Know, Shopping Carts on January 21, 2013 by scm.